The key to successful management of headaches is identifying the type of headache you have. There are several types of headaches for which symptoms can be very similar and each type of headache responds best to a particular treatment. To further complicate the problem, it is not uncommon to suffer from more than one type of headache. A thorough evaluation and treatment by a physical therapist can help you find relief. Migraine: Pain is experienced throughout the entire head, deep within, and is described as pulsing pain of moderate to severe intensity. Light and sound sensitivity is also common. Nausea, distorted vision, and numbness in the face and tongue can also be symptoms. Symptoms last from 4 to 72 hours and affect women twice as much as men. Cluster Headache: Pain is very severe and always on one side of the head. Generally pain is experienced behind the eye and is described as pulsing. Stuffy nose and watery eyes often accompany pain. Symptoms tend to occur at the same time of day over a period of weeks to months. Symptoms will then disappear, only to reappear after several months. Men tend to be more affected with this type of headache than women. Tension Headache: Pain is usually experienced on both sides of the head, but can occur on only one side. Symptoms are often constant and do not change with activity or rest. Cervicogenic Headache: Also termed occipital (back of the head) headache. Symptoms can be constant, affecting either side of the head. Symptoms often increase with prolonged positions of the head and neck. Can have nausea, dizziness, vomiting, light and sound sensitivity associated with this type of headache. Cervicogenic headaches and tension headaches are most often the result of poor posture, stiff upper back, loss of neck motion, and weakness in the neck and upper back muscles. These types of headaches can be effectively treated by our therapists. Migraine and cluster headaches that have a component of neck and upper back pain and dysfunction may also be helped with physical therapy. Musculoskeletal Evaluation: A thorough evaluation will be performed on your initial visit to assess for possible postural contributions, muscle imbalances, myofascial restrictions, and joint dysfunction that may be contributing to your headache pain. Manual Therapy: Our therapists all have advanced training in manual therapy which is a hands-on approach that addresses restrictions in the soft tissue, the myofascial system, and/or the spinal joints to facilitate a healing environment. 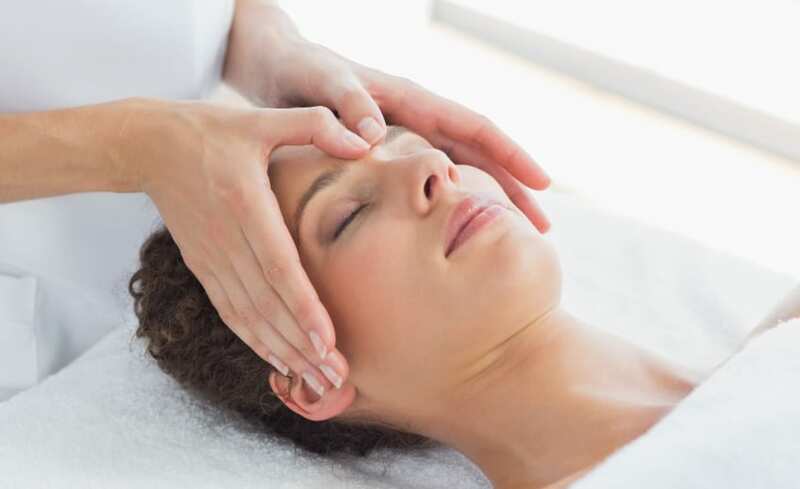 Therapeutic Modalities: Modalities, such as heat, cold, ultrasound, cervical traction, and electrical stimulation can be used to help with pain control in the initial or acute phase of your headache and are then replaced by more mechanical approaches when the treatment focus shifts to correction of the mechanical cause of your headache and prevention of recurring episodes. Therapeutic Exercise: Exercise will be given to be performed at home addressing muscle imbalances, spinal motion, spinal stabilization, and posture. Education on posture and body mechanics: Posture and the way you perform your day to day activities can play a significant role in headache pain. You will be educated on postural and body awareness and be given exercises to be performed at home to interrupts stressful postures through out the day, allowing for a healing environment. Relaxation techniques: Your autonomic nervous system can play a role in maintaining muscle tension. When you are stressed, the sympathetic part of this nervous system is overactive and can contribute to your pain experience. Relaxation techniques will help calm this system and help you with pain management.